Stella went to visit Angelina Jolie on the set of the film to gather some inspiration before creating the designs and she says she was inspired by the actress. She reveals that Angelina got in to character and showed off her cheeky side for the cameras which was fun to watch: ''When we went to the set, Angelina was in full costume and all the kids were terrified of her, but at the same time it was absolutely brilliant. 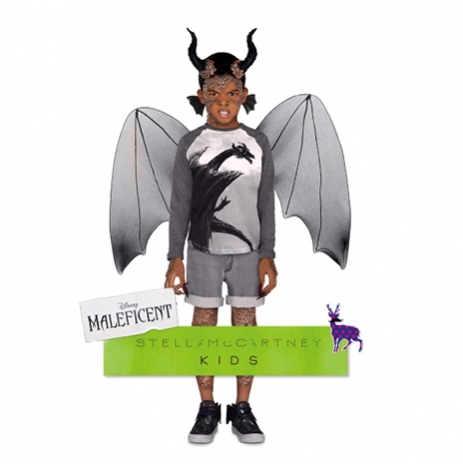 She's a baddy with an unusual sense of goodness inside of her and I wanted the Maleficent dress to embody both the cheekiness and strength of character that she possesses.'' 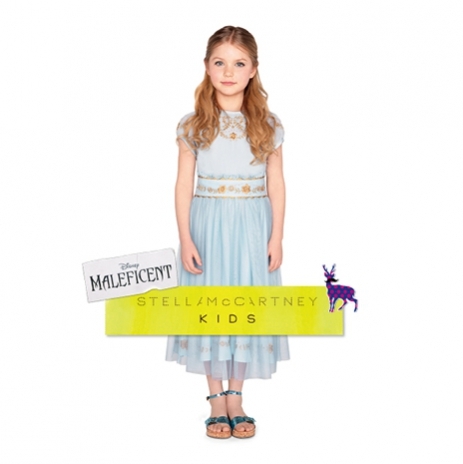 The new Stella McCartney Maleficent collection is available now.